Dreams, Humor, Stories, Theology, Welcome to our home! I stand and look into the bathroom mirror and see, really see, the old man I have become. It is not an easy look, but it is what it is. Growing old is not for sissies. I find solace in the notion, “It’s not the years, it’s the mileage.” This poor body had three decades of driving too fast on bumpy roads and neglect in changing the oil. I have paid a price for the commitments and sacrifices I made. I can see and feel the costs. Let me tell you a story. 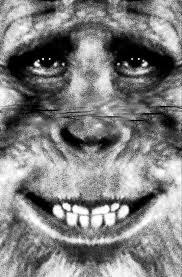 Lately I have seen the primitive man from my dream. Just the other day I was walking across the Post Office parking lot. In the wall of windows I had a curious moment. I saw an elderly man walking somewhat stooped from lower-back pain, his arms dangling loose and swinging as he walked. From a distance he looked like Bigfoot striding through a mountain meadow, all but waving at the camera. It was my reflection of course. 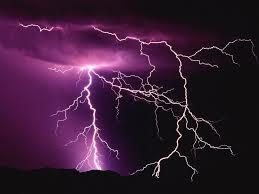 As I sit at my desk in silence, the storm rocks my Holiday Rambler with a supernatural rhythm. I find myself reaching, without knowing why, for a journal I made entries in ten years ago. I open and browse thoughts and reminders of a decade ago. “Not an optimistic day,” I thought as I turned the page. Then before my brain cells could hold hands and form the next thought, my left hand nearly slapped my ear off. It was that sound I heard while I prayed on the spirit trail in the storm. Mosquito was back. And it was in my house. Now this is funny to me, because I am a long-time student of Native, or indigenous, cultures. The ones I am familiar with see nature as a sacred place of beauty, learning, and sustenance. All of life is part of creation and each life has something to teach us. The cougar teaches something different than the eagle. The trees, or standing-people, teach us something different than the rivers. The winged-people teach different lessons than the crawling-people. I have had the privilege of knowing some remarkable people walking the Red Road, learning and sharing their lives. So what does mosquito have to teach me? I searched for information and found an old southeastern Alaskan Tlingit legend. In this story there was, long ago, a giant that found humans to be a tasty food, just loved our blood and organs, hmm, mmm, good! The hero of the story killed the giant, and to prevent its coming back to life, cut up the giant into tiny pieces. Each of the pieces transformed into a mosquito. My apologies to the Tlingit people for the rough summary. Clearly not the kind of legend easily put to music. I have two takes on this legend, and I could be way off. First. It is a lesson in humility. It reminds us two-leggeds what it feels like to not be at the top of the food chain, and we ought to keep it in mind when dealing with other creatures. Second. The story tells us that there is a force in the universe that can devour human beings. Nothing personal. That is just what this force does. The only control we have is in helping people stay out of its way and in the manner in which we deal with its aftermath. There are a lot of ways to read the story, and it would take a team of tribal elders to understand more of its history and significance. Some of the rewards in legends is in the discussion and learning possibilities. With that search for meaning intention, I decided to take a little time to reflect on that pesky mosquito and see if it has some qualities I could learn from. Here is what I came up with. You can add more. Say what you will, mosquito has a very effective voice. As small as it is, it can incite instant human response. The instant one hears mosquito near the ear, a part of the human brain kicks in that goes back to our relatives that learned to walk upright. There is something primal and hilarious in knowing that Neanderthals batted mosquitoes the same way you and I do. As I reflect on mosquito and my life of writing and telling stories, some comparisons might be made. My stories sometimes bite. The narrative sometimes requires a little blood-letting. The messages can sometimes cause a psychological itch that demands to be scratched. The images described may be uncomfortable or provocative, but this eventually goes away. It may be that my writing efforts will be no more popular that the tiny voice of a lone mosquito. And maybe that is not all bad. According to Smithsonian Magazine, scientists report that romantic mosquitoes harmonize their whining wing beats. Hey, for the right mosquitoes, that buzzy whisper in our ears is a seriously hot love song. Maybe mosquito reminds us that we each have a love song to sing. And maybe we should all be careful about getting slapped. I remember learning of an upper-Ohio River tribe that was renowned for being invisible in the forest, a kind of Zen and the art of camouflage, being one with the environment. A few weeks later, I prayed to have such an invisibility. I had a twenty-minute dangerous mission of mercy for a boy and his mother. It was crowded, no one bumped me, spoke to me, or looked me in the eyes. As far as I could tell, the prayer worked. I remember to this day the crunchy, nutty sound of countless empty nine-millimeter shell casings under my footsteps like gravel on a rural road. and a few . . 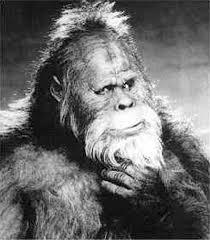 I cannot say if Yeti or Bigfoot exist in what we call the physical world. What I know is that I dreamed of this unusual being and looked into his eyes. He is a wild man that lives in a remote place in nature, can blend into whatever his natural surroundings, and only reveals himself to people who are open to seeing. and I shall continue to embrace him . . . Thank you for reading the four-part Wild Man series. Feel free to click the Comment button below. To learn more about the Tlingit people, click here. Stories, Theology, Welcome, Welcome to our home! Even in the dark I could see it. On previous wanderings I had crossed this game trail with multiple antelope tracks walking south. On the nearby plateau I discovered their bedding area. This was a good place to pray, and I knew from experience that unusual things could happen here. On my last dawn walk I was approaching this area. I remember looking ahead into the rising sun. I could see the silhouettes of a man, woman, and dog. I could see they were coming my direction. As they got closer, the dog stopped, focused on me, then left behind her two-legged friends and came at a full run. As I stopped and prepared for this greeting, the four-legged came into visual clarity. To my profound surprise, I recognized that she was a Bernese Mountain Dog and could have been a litter-mate to my last dog Gracie who died a year past. I was impossibly smiling at the “coincidence” of the moment and shared memories of my late best friend with these fellow travelers. I said goodbye to Sadie, and they continued their trek towards civilization. It was on that same morning walk that I first prayed at the antelope trail. On that day, sitting cross-legged on this now-nightly spot, after lengthy time in silence, after staring into the rising sun with my eyes closed, I began to return to my physical surroundings. I said my closure of gratitude and slowly opened my eyes. I first focused on the swaying grasslands reaching to the mountains. As I did, I was gently startled by something out of place. Nearly a mile away, a silver dot moved erratically. My slowly waking brain curiously watched and began to question itself. What is that? Looks like the bottom of a shiny metal can, but it seems to move with the wind. Yes, it’s light on the wind. Before the words came to me I was grabbing my hat, glasses were on my face. I was sure I knew what it was, and I was going after it. I walked quickly at an angle out in front of its path of travel. I could then plainly see it was an aluminum foil party balloon. (This is the point in the story when having read Indians & Aliens would help one appreciate the magnitude of this “coincidence.”) I was miles from civilization in miles of open prairie, and I was chasing a party balloon, and I was having more fun than a kid kicking around barefoot in a sandy creek. I was transformed in wonder. I could see like a child. Forgetting myself, I began to jog, and then I began to run like an antelope in an easy stride. (The “coincidence” is again connected to Indians & Aliens.) I was gaining on my prize, lost sight of it, ran, ran, ran, and then caught a glimpse of it as I climbed the incline. Then, in a breath, ready to reach and touch the balloon, the spirit winds shifted. Coming up from behind me in a burst, the balloon was whipped away and carried three-hundred feet into the air. I watched it go higher and farther away, flying north quickly, it was gone from my feeble vision and pitiful grasp. I slowed to a trot, then a fast walk, and then I stood still and laughed with tears in my eyes. I was sure that a Holy force and my late wife Carol were behind it all, that I was blessed, touched on the shoulder, and reminded of a great truth I would come to form into words. I know I laughed with delight that it was somehow an answered prayer. On that place where I prayed that morning, I prepared to pray at night. I eased myself down and sat cross-legged in a ring of Chino grass. I placed a tobacco offering on the earth in front of me and I faced the wind. Rain trying to turn to ice formed needles stabbing my face. My hair blew loosely behind my shoulders. Thunder and lightning exploded before me. I sat at the foot of a dark earthly stage. I began to speak in my prayerful manner. The winds came in bursts and the rain sporadic. Rumbling thunder from beyond the mountains. Distant bolts of lightning back-lighting the mountainous clouds. My mind blank, I drifted in and out of the sensations of whipping winds and random rain. Then I heard something nearly-foreign near my ear. I sat perfectly still and listened. Amidst the cacophony of wind all around me, a tiny and fragile sound was unmistakable. My left hand took a swipe at it. I sat still. It came back, trying to get into my ear. It buzzed. I swiped. It came back. I swiped. Forgetting my prayer, I focused on the mosquito. Then I stood up swiping. The storm began to quickly intensify. I swiped some more. The rain came harder. Bigger drops. More force. I stopped my antics and hurriedly closed my prayer. I turned towards the village and began to make my way back in the dark. I confess I felt some element of fear that I had overstayed my time with the growing storm. The wind was directly behind me and pushed me with each stride towards where I had started my walk. Large, heavy rain drops hit me in the back of the head like a giant hand drumming its fingers on my noggin out of boredom. I was ashamed that I lost my prayerful time to something as insignificant as a mosquito. I walked briskly, and because my shoulders ached, I shrugged them up and down and around in circles. I swayed my hips back and forth to loosen them up, and I then concentrated on walking safely on the path. The longer I walked, the more exhilarating the journey. The wind at my back encouraged me. My body relaxed, and I felt lighter. I smiled and chuckled out loud. Upon reaching the gate, I turned and leaned back against the fence line, both arms up on the top rail. I looked back to where I had just come from. “Thank you! I am blessed this day! Thank you! But what does mosquito teach me? I just did not know what they were . . .
First We Save the Children! Helaine Berman on WITHOUT CONSENT – updated!